Home > Communication Systems Reference and Training Manuals > > Disturbing Effect of Noise. with the amount picked up by the long outdoor lines. the unintelligible conglomeration of speech sounds called "babble"
coming from a large number of sources. noise other than that induced by natural causes. electrical noise introduced by extraneous sources. final analysis, the determinant of successful communication. b. Disturbing Effect of Noise. 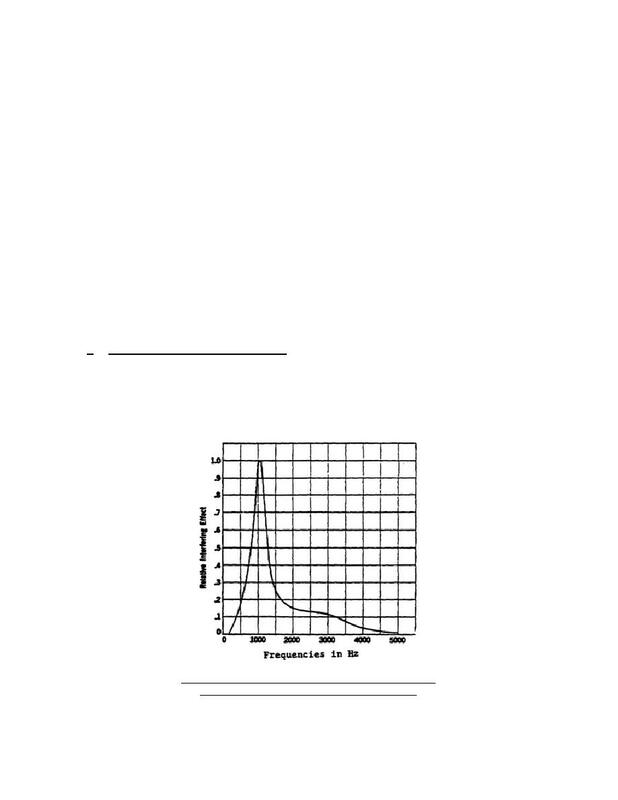 The results are shown in figure 1-1.
of noise at different frequencies.